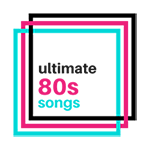 100’s of songs battled it out to see which 5 songs from the 80’s were the best wedding songs. We asked our wedding expert from Mimi Taylor, to help us select the right ones. Mimi Taylor has hosted 100s of weddings and posts opinionated articles such as wedding fonts, event planning, decor, DIY and more. After hours of deliberation, these 5 songs made the list. From the emotional and crazy movements, in this list there is a song to connect too!